With over 25 years of experience in the industry, Port Power Electrical Services is a leading electrical contractor across the Sunshine Coast & South-East Queensland. Call us now or leave a message for a fair quote on all your electrical needs. Book with Port Power Electrical Services and receive a personal guarantee for all jobs that we undertake. Save yourself time, money and get the stress-free electrical solution with lasting results. Welcome to Port Power Electrical Services, your local and trusted Electrician. We’ve been in business for over 10 years serving locally on the Sunshine Coast. 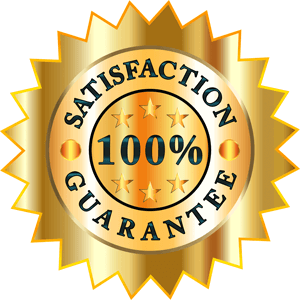 We pride ourselves on delivering outstanding service with a fair price. Port Power Electrical Services are your local Sunshine Coast electricians. As a full-time electrical contractor, we are capable of delivering a broad range of electrical services right across the coast. We provide a full range of electrical services including installations, maintenance, repairs and upgrades. By operating and delivering locally, you can be assured we are never too far away to help you solve your electrical needs. We have over 25 years of industry experience and are able to provide just about any electrical service you can imagine. We frequently provide our Sunshine Coast customers with air conditioners, solar systems, smoke alarms, safety inspections, new home installations and various residential services. We’ve been in business for over 10 years and continue to deliver the most cost-effective and reliable electrical solutions while still providing outstanding customer service. When you work with us you can be assured that the work will be done by a fully-qualified and experienced electrician. All of our work will be safe and comply with all relevant standards. We have a holistic and modern vision across all of our electrical services, providing a cost-effective response to your electrical requirements along with a satisfying customer service, that helps us build a strong connection and really listen to and fulfil our client’s needs and expectations. We are a family based, friendly company that prides itself on its hard and quality workmanship and respectability, providing you with outstanding work quality, great customer service and fair prices. We are always ready to help and assist our clients, whatever their requirements. Port Power Electrical Services is owned and run by Jason, a fully qualified and licenced electrician with more than 25 years of experience as an electrician. We believe in fair pricing and are proud to offer strong, competitive prices across all of our services. We’ll provide the price upfront and won’t charge you for any hidden fees or additional work costs that you didn’t know about.